Set in England in 1831. Borne is a rake and a rogue. Ruined by the loss of his estates, taken at the gaming tables by the man who had been his guardian, the father of the boy who had been his best friend. Now, part owner of one of the most exclusive gaming hells in London, Borne lives only to regain his estates and to take revenge upon the man who tried to hard to destroy him. Lady Penelope Marbury has been on the shelf for years, and her mother despairs of her becoming a spinster. She wants Penelope married, and she wants a good marriage. One that will help her two youngest daughters make good matches. Especially since Penelope’s broken engagement years earlier put two of her other sisters in less than admirable matches. It’s an amusing story. I did like the letters that started each chapter, that detailed Penelope’s life as she grew older, and what she felt as she wrote letters she would never sent. The letters helped understand a bit better the reactions Penelope had to Borne. Because I wasn’t buying it initially. I enjoyed the banter–I always love good banter. There were also a couple of passages that caused me to pause for a second. Penelope realized that she did not think she’d ever heard the honest laughter of a woman to whom she was not related. As someone who enjoys laughing–and tries to laugh as much as possible–the idea of living in a society where you couldn’t let your hair down and laugh is almost as bad as the rest of the restrictions women had placed upon them. An interesting book, with quite a lot of boinking. Just so you know. This one I really liked. Lady Philippa Marbury is engaged to Lord Castleton, who is very kind, but according to all the ton, very stupid. Pippa’s sister and brother-in-law have both encouraged her to break the engagement, but Pippa made a promise, and she intends to keep it. After all, Castleton isn’t a bad man, he’s just going to bore Pippa out of her mind. Because Pippa is smart and–she fully admits–odd. She doesn’t always get social niceties, and she loves books and science. You see immediately why I like Pippa. Cross is another member of the Fallen Angel gambling hell (Borne was married off in the previous book), with a reputation as a ladies’ man. He was also brought on board by Chance, because of his ability to count cards (and also to keep the books). He was a second son, and living up to all that implied (lots of money and little responsibility) when tragedy struck, all of which set him on is current path. “No?” Thank God. He would not put it past Pippa to simply pronounce a newfound desire to explore all aspects of the world’s oldest profession. You’re brilliant and have a passion for animals and strange flowers, and you were always more interested in the crops that rotated on my estate than in the trappings of my town house. I’d never met a woman like you. But, even as I knew you were smarter than I, even as I knew that you knew that you were smarter than I . . . you never showed it. You’ve never given me any reason to believe you thought me simple. You always went out of your way to remind me of the things we had in common. I’m glad he isn’t abandoned at the end of the book, although I think his finding love was a little bit too … neat. He deserved his HEA–but I wish it hadn’t been quite so tidy. It’s another fun story. Despite all the boinking. This is the third Rule of Scoundrels book, and tells the story of how Temple ended up fighting in the basement of the Fallen Angel, despite being a Duke. Can’t say this was my favorite. The characters were fin, but nothing amazing, and although we eventually saw why Temple should forgive her, I still have a very hard time seeing why he truly would. It’s not that she didn’t seem repentant, and it’s not like she didn’t have a good reason for running away, I can’t say that she made particularly good decisions. And after the geek girl in the previous book, Mara was a letdown. Not that she didn’t have her moments. Dear God. Could she not keep her mouth shut? But mostly, I felt meh about the whole thing. The final book in the Rules of Scoundrels finally sees us learning the identity of Chase, the owner of the Fallen Angel and the most notorious in the group. Everyone wants to know Chase’s identity, but few have seen him. Or rather, as the end of the last book revealed, her. This was fun, but at times I felt let down my Chase, and I questioned some of her decisions. First, the most obvious solution to her problems would be to go to the continent. Or India. Or any of the other places where no one would know who she was and where she could remake herself. It’s not like there was social media or anything that would make her easily recognizable (never mind the fact that few have seen her for years). She’s got plenty of money. She could easily travel and start over somewhere else. Second, she trusted her identity as Chase to her partners and their wives. And a number of her employees. Why on earth she couldn’t tell Duncan West as well? She trusted him with one of her secret identities, why not the other? Not that the story wasn’t fun at many points, and I quite liked Caroline. “This is not exactly an event,” Caroline argued. And I quite liked the idea of the club helping women (from all walks of life) escape if need be. I don’t think it would have been quite as presented, and I don’t think the wealthy and titled would have often accepted, but it was still nice, and a good reminder of who is truly to blame in abusive relationships (which existed since time immemorial through today). So, fun, but not sure the series would be worth a re-read. Set in England in 1833. Sophie Talbot is tired of being the youngest Soiled S, never truly accepted. The Talbot family was the scandal of the aristocracy. Sophie’s father was a newly minted earl, having received his title a decade earlier from the then King. Though her father had never confirmed the gossip, it was generally accepted that Jack Talbot’s fortune— made in coal— had purchased his title. Some said it was won in a round of faro; some said it was payment for the earl assuming a particularly embarrassing debt belonging to the King. However, her eldest sister trapped a Duke, and since then the sisters have been invited everywhere. But Sophie hates it. The Marquess of Eversley is a notorious rake, and has a history of ruining the engagements of beautiful young ladies. When he finds the youngest Talbot sister trying to flee a party, he assumes that she is out to snare a Duke herself, and wants nothing to do with her. One of the things I liked about Sophie was seeing how her father loved her. Her father wasn’t a reader— he’d never learned how, despite having an uncanny head for numbers— so the crate of books he brought home with him was always eclectic: texts on animal husbandry, economic dissertations, travelogues, hunting manuals, four separate versions of the Book of Common Prayer. Once, he’d come home with an obscure collection of etchings from India that her governess had promptly snatched away and never returned. I love the idea of his randomly picking out books for his daughter to try and please her. As far as the characters, I liked the secondary characters–the doctor and Bess and the children from the mail coach–better than King. Yes, he had grounds for behaving and believing as he did, but he was mostly a jerk throughout the entire thing. But, it was a cute romp and a distraction. Set in London in 1834. Alec Stuart has become the Duke of Warnick, even though he wants nothing to do with the Dukedom–or England. Seventeen dukes, if he were honest, Bernard supposed— all dead. All within the span of a fortnight. It was a turn of events— seventeen turns of events— unheard of in British history. But Bernard was nothing if not dedicated, even more so when it fell to him to play protector to such an old and venerable title, to its vast lands (made vaster by the rapid, successive death of seventeen men, several of whom died without issue), and large fortunes (made larger by the same). So he ignores the dukedom as best he can, until he receives a missive that part of what he inherited was a ward–and that ward has gotten herself into a terrible scandal. Lillian Hargrove is the ward of the Duke of Warnick, even though he doesn’t seem to know of her existence. So she is quite shocked when the Duke appears on her (actually his) doorstep to save her from her scandal, she isn’t interested in being redeemed, she just wants to escape London and the mess she has gotten herself into. Her father had died and left her in the care of the duke, and all had been well for several years, until the duke had died. And sixteen more, as well. And then this man— this legendary Scot who had eschewed all things English and never even turned up in Parliament to receive his letters of patent— had been in charge. And Lily had been forgotten. No dowry. No season. No friends. I thought it was a fascinating premise–that a young woman could be forgotten in such a manner, and unable to do anything about it, because women were property. 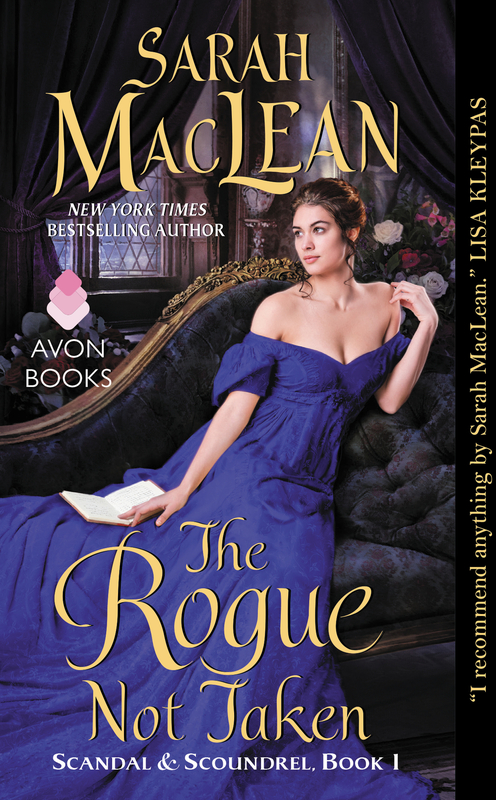 It was, of course, a good deal of ridiculous, but that’s okay, because it’s the kind of ridiculous that I expect from Sarah MacLean–and generally enjoy. I mean, the dog house and all the ridiculousness therein was utterly delightful. 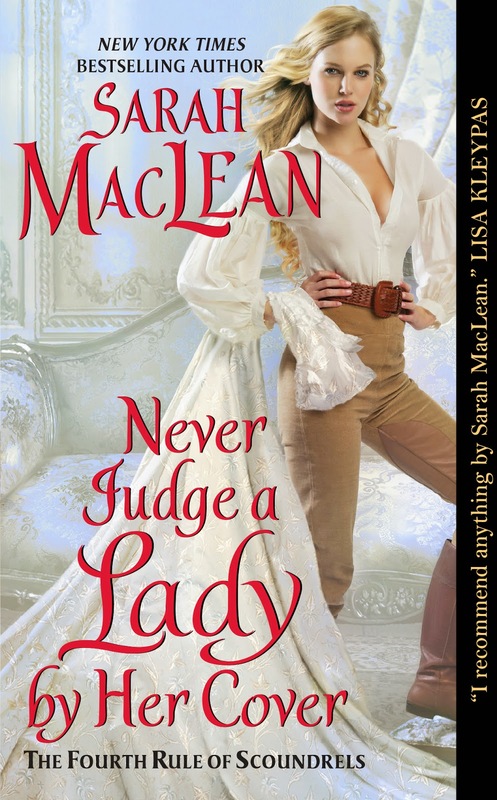 That said, this was not my favorite Sarah MacLean book. I didn’t care for Alec’s willful misunderstanding of Lily’s feelings for him, and acceptance of his past. I get that he’s pretty screwed up about his past, but I don’t see his fleeing (read: abandoning) her as okay. Especially since part of his past burden was being abandoned by his mother. That’s not to say that I didn’t enjoy the book, because I did. There were lots of bits I quite liked. I just got annoyed with the inability for the two to work out their issues until the VERY LAST SECOND. Made me glad I borrowed the book rather than buying it. Set in London in 1837. Felicity Faircloth is on the shelf. She’s been abandoned by those she thought were her friends, and despite a minor scandal, her family is pushing her towards marriage. Devil spent the first ten years of his life in an orphanage, then from the age of 12 onward, on his own on the streets of London trying to protect his brother and sister. Now that they’ve made their mark and their money, all is going well–until their third brother comes to town, looking for a bride. Even though all three swore as children: no heirs. So Devil plans his revenge–and decides to use Felicity to enact it. 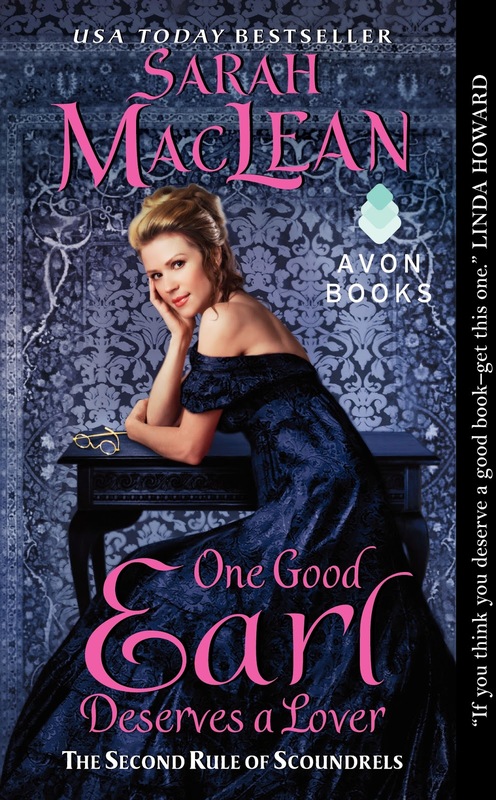 As with all Sarah MacLean books, my favorite part was the dialog. “It seems that would be a far more useful favor than one from someone who is perfectly good all the time,” she pointed out. There’s also a passage towards the end of the book that cracks me up, where Felicity walks in on her brother. The book did have a couple weaknesses for me. One was of course the amount of boinking. The second was that it was never quite clear to me HOW Felicity learned to pick locks. They why was made clear. But the ability to pick supposedly unpickable locks seems like something that you’d have a hard time picking up entirely on your own. I did love that Felicity didn’t need rescued. I also loved both Grace and Nik, and I really want to know more about Nik, because a tall blonde woman who dresses as a man is pretty fascinating. Although I’m pretty sure it was much less uncommon in the dangerous parts of the city than elsewhere. So, it’s a fun story, even if I could have done with more lock picking and less boinking. Lady Calpurnia Hartwell (Callie to her family) is a spinster. It’s been 10 years since her coming out, and so she has come to accept that she is never going to get married (and she is quite lucky that her family didn’t force a marriage upon her). However, the engagement of her younger sister has made her realize how much life she has missed, sitting on the shelf maintaining her reputation. Gabriel St. John, marquess of Ralston is rake. He has no interest in marriage and even less interest in love. But when he and his twin brother discover they have a younger sister, he knows he’ll have to reform (or at least act reformed) for her to be accepted into society. I was surprised by how much I enjoyed this story. Callie is delightful, deciding that she is tired of being a wall-flower and creating a list of things she wants to do. I initially wasn’t quite sure why she’d been in love with Ralston for so long, but the more we learned about him, the more complex and interesting he. Because he may well be a rake, but he generally respects women, which is a concept that was not contradictory at that time. Callie dipped her head to keep the baron from seeing her roll her eyes. So, despite all the boinking, I quite enjoyed it. Set in England and Yorkshire in June 1823. 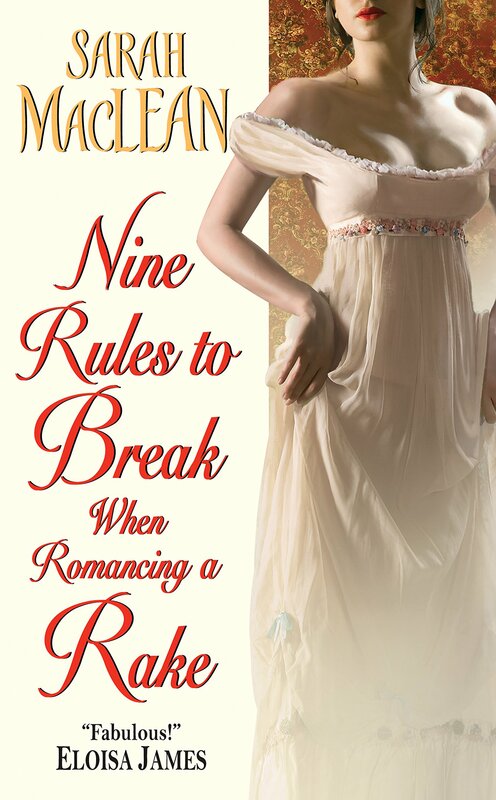 This book follows Nine Rules to Break When Romancing a Rake, and sees the other twin, Nicholas St. John, become a highly sought-after prize on the marriage mart. So when he’s asked to search for a friend’s missing sister, he gladly leaves London. Lady Isabel Townsend is impoverished, holding the family lands together by her wits and hard work, while her father squanders everything that isn’t entailed. Unfortunately for her, because her brother is a minor and she only a female, her father’s death doesn’t make things any easier for her. Especially since she is hiding a whole lot of secrets. A young boy with a face covered in what looked suspiciously like strawberry jam. Nick was not entirely certain how to proceed under such circumstances, but, before he could say anything at all, the child took matters into his own hands. The door slammed shut as quickly as it had opened. And Nicholas’ friend Rock (who I very much liked, and am sorry he got such short shrift in this story). There were things that bothered me about this story–not big things, just niggling little irritations that didn’t throw me out of the story, but nagged at me nevertheless, but the fact that Nick is so kind and generous allowed me to easily sweep them aside. (S)he redirected her attention to her brother. Only to discover that he was wearing an equally unlikely dinner ensemble: short pants, a dirty linen shirt, and an elaborately tied— if hopelessly wrinkled— cravat. It’s a cute story, and I liked the characters and how they held so strongly to what they believed. It wasn’t the strongest story, but it was a pleasant escape. Please note: this is a boinking book. Juliana Fiori is the daughter of scandal–her mother abandoned her first husband and twin sons and ran off to Italy to marry a merchant, and then abandoned that husband as well. After her father’s death, she discovers she has two brothers who will both help her and present her to society. Unfortunately, society is uninterested in a young woman of dubious birth. Juliana was suddenly, embarrassingly aware of the fact that she was in a man’s home. Unescorted. With the exception of a dog. Who had already been revealed to be a poor judge of character. Simon Pearson, the Duke of Leighton, wants nothing to do with scandal, partially because of how he was raised, and partially because of events in the previous book. His is friends with the younger Ralston, St John, but can’t stand the older brother Gabriel, who as a notorious rake until marriage (see, the first book) settled him down, and with his own impending scandal, wants absolutely nothing to do with Juliana. 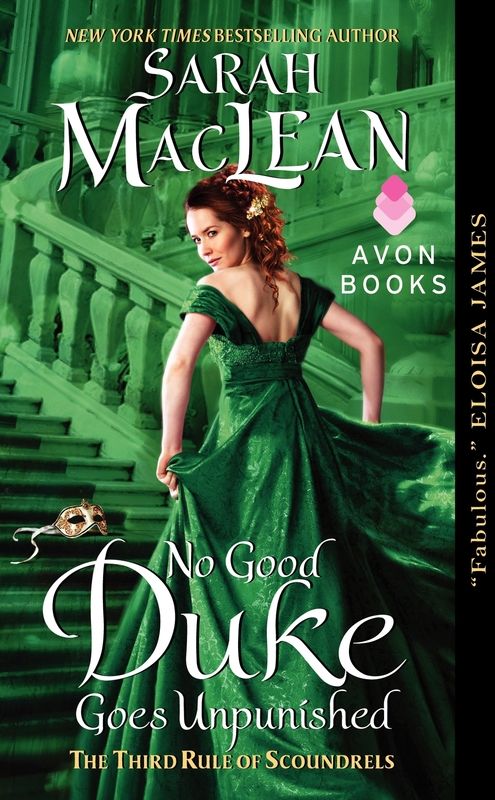 Unfortunately, trouble seems to follow Juliana, and leads her to the Duke of Leighton. I really like Juliana. I loved her inability to get idiom and her turns of phrase. Simon, on the other hand, was very hard to like. I understand that he was raised by a horrible mother, and has tried very hard to live up to his reputation as a Duke, but… he he is just not very nice. I want Juliana to be happy, and I of course want Simon to stop being a jerk, but I have a difficult time believing he’d truly overcome how he was raised, and would make Juliana happy in the long run. So, it was an interesting story, I just didn’t like the hero, and am not certain they really had a HEA.